So this is day 6 of my nature postings. I captured this image at the railroad I volunteer at by the pond like the Hummingbird photos were. 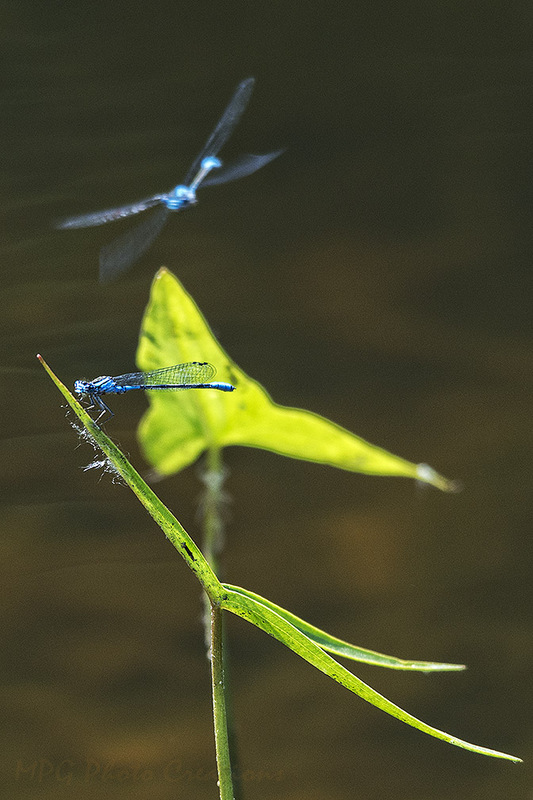 These are Blue Damsels and they were everywhere along the water's edge. They did not sit still for long, mostly because one like I was able to capture would come in and up to it and make it take off. I think they are pretty little things with their blue color.